Bed Bug Training Can Help Hotels Battle a Bed Bug Registry Listing. As you well know, there has been a rise in bed bug infestations in the United States. Hotels and the lodging industry as a whole are on the front lines in the battle against this determined pest. In fact, according to the 2015 “Bugs Without Borders” survey conducted by the University of Kentucky and the National Pest Management Association, 64% of pest control professionals report that bed bug infestations continue to be on the rise, and 74% encountered infestations specifically in hotels and motels. Several sites now act as a bed bug registry, listing consumer’s reports of bed bug encounters at hotels throughout the country. Often, these sites offer little or no recourse for the hotels. The posts stay on these sites indefinitely, causing damage (sometimes irreperably) to the hotel’s reputation. Concerned consumers stear clear of hotels on a bed bug registry, even when the problem may have been remedied. Now, those same consumers will have a new site to help alleviate the growing concerns of encountering bed bugs during their travels. And finally, the hotels listed on a bed bug registry will have some recourse. We are KnowBedBugs.com, and we are partnering with the lodging industry to combat the growing bed bug epidemic. We offer bed bug training, post-training testing, and certifications to the lodging industry, specifically the housekeeping and front desk staff. Guests can search for a hotel by name, or by town or zipcode, and find a hotel with the KnowBedBugs.com certification. They can reserve a room with a KnowBedBugs.com certified location directly from our site. We also offer education, breaking news, and inspection checklists for hotel guests. A better educated consumer, coupled with a better educated, trained and KnowBedBugs.com certified hotel will undoubtedly build consumer confidence. 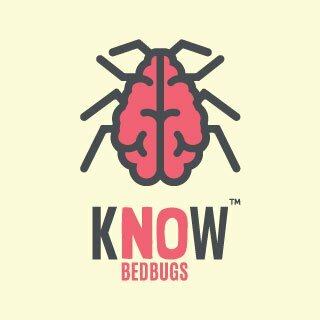 KnowBedBugs.com trains, tests and certifies employees on the biology, the detection and treatment for bed bugs. Most importantly, KnowBedBugs.com also give guidelines for professional guest interaction concerning bed bugs. Certified hotels are provided with signage and certificates, letting the public know that they have a plan. Neither KnowBedBugs.com nor any lodging establishment can guarantee a bed-bug free room. In fact, no business can. However, we can guarantee that the businesses carrying the KnowBedBugs.com Certified Seal have had bed bug training and education on the detection and treatment of bed bugs, and in proper dealing with guests who may have encountered a bed bug issue. CHECK WITH US BEFORE YOU CHECK IN! Concerned about encountering bed bugs on your next hotel stay? Not to worry. KnowBedBugs.com has a checklist for you! I Brought Bed Bugs Home in My Luggage: Now What? © 2019 NOBBEL, Inc. All rights reserved.